Korey is a Sioux City native. He learned the importance of saving and investing at a young age and purchased his first investment in high school. Korey began his career in the financial services industry in 2011 by interning with Stifel in their home office in St. Louis, Missouri. While there, he saw firsthand how Stifel offers outstanding service to their clients. After college, Korey worked with Principal Financial Group in their employer sponsored retirement plan division in Cedar Falls, Iowa and then transitioned to serving their investment clients in Des Moines, Iowa. His passion for educating his clients and helping them pursue their financial goals provided a great foundation to transition to the Sioux City office of Stifel as a Financial Advisor. A graduate of the University of Iowa, Korey obtained a B.B.A. in Finance from the University of Iowa. While at Iowa, he served as the Vice President of Phi Beta Lambda, was a member of Hawk Trade Investment Group and a member of the Financial Management Association. He continued his education by earning the Chartered Financial Consultant designation from the American College of Financial Services. Korey specializes in working with successful investors, businesses and non-profit organizations. Whether you are working on your retirement goals or are in retirement, he has the expertise to help you work toward your goals. His goal is to provide the framework of an investment plan tailored to address your needs allowing you to focus on things that are most important in your life! Korey lives in Sioux City. He and his fiancée, Ali, are proud parents to their Golden Retriever named Jersey. Korey’s hobbies include working out, golfing, and going to the lake. 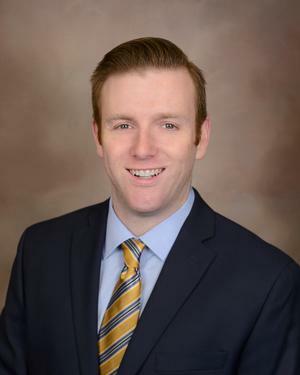 Korey is currently a member of the Siouxland Estate Planning Council as well as the Sioux City Growth Organization. He believes Siouxland is a great place to live and work!